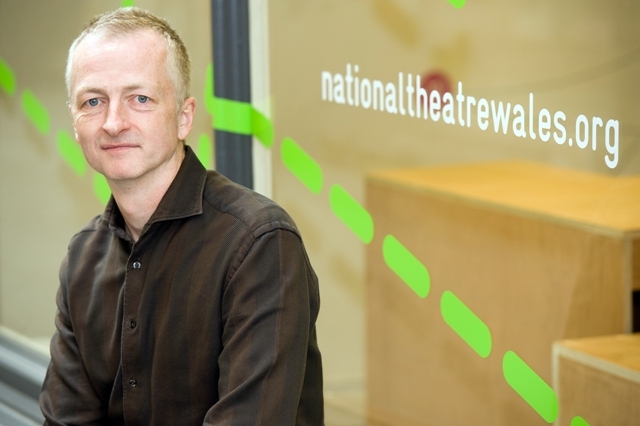 John McGrath, Artistic Director of National Theatre Wales (NTW) was recently in Melbourne on a whirlwind tour. His schedule included presenting the George Fairfax and Kenneth Myer lecture: Make Everything Risky: Theatre in the age of Google, Occupy and the Arab Spring as well as sharing insights at a site-specific workshop that was part of Deakin’s George Fairfax Lecture series. However, in between the flurry of different activities he did manage to have a chat with Australian Stage’s Dione Joseph where they discussed the work of NTW, the concept of participatory theatre and its ongoing relevance to theatre practice today.The National Theatre of Wales (2009) is a relatively new company yet it is quickly developing a place of its own in the international theatre landscape. And the pun is intended because a sense of place is intrinsic to the aesthetic of the company’s work: Wales is the stage for the company’s work from steel towns to village halls, forests to nightclubs. This is a collective of individuals who are inspired to work with artists and audiences to create theatre that reverberates with a distinct understanding of local space and people. The work produced by NTW has honoured this tenet by creating highly immersive and engaging works that respond to the current conversations taking place within local communities. The work ranges from a fascinating melding of tradition and contemporary practice, adaptation of classics to highly site-specific work with a huge number of audience participants. Often the company invites artists from across the world to work on new projects, especially to engage with the concept of ‘longing for home’. But equally, the invitation is also extended to local artists to explore what it means to be ‘from here’ and how do those different experiences and knowledges contribute towards making work that is transformative. Although not widely known on the international touring circuit because of the nature of the work McGrath has no complaints and is keen on “maintaining that sense of place”. The term participatory theatre is far more frequent in the conversation than community arts and this reflects NTW’s conscious effort to not to allow the question of participation, interaction and immersion to simply be ossified into a singular concept known as ‘community arts’. He clarifies further by saying “Our work is about re-opening theatre to that spirit of possibility in terms of what the different contracts in the space could be… rather than isolating it into a particular silos and operating in exclusion” says McGrath. But perhaps in its most fundamental and truthful state, the key successes of participatory theatre (or its occasional heteronyms of community theatre and interactive theatre) is marked not simply judging its effects on a particular group. The work, as McGrath points out, is most profound when people who have been involved in making the work have life changing experiences. This particular emphasis on the acknowledging the need and significance of the lateral effects of engaging in participatory theatre is vital to ensuring that the binaries are disrupted and that as McGrath highlights, the work is transformative for all involved in the experience. This is not uni-directional theatre with a premeditated product, this is theatre that speaks in the moment to both its creators and its audiences and welcomes the line betwixt the two to become blurred. This is the theatre from the National Theatre of Wales. Let’s hope they bring their work to Australia soon. I am so inspired reading your article. The web site style is perfect and the articles is really excellent : D. Good job, cheers! Wow that was odd. I just wrote an increwdibly long comment but after I clicked submit my comment didn’t appear. Grrrr… well I’m not writing all thyat over again. Anyhow, just wanted to sayy supertb blog!